History has left records of many tea companies who are no longer in existence. Occasionally, we like to review tea companies of the past. 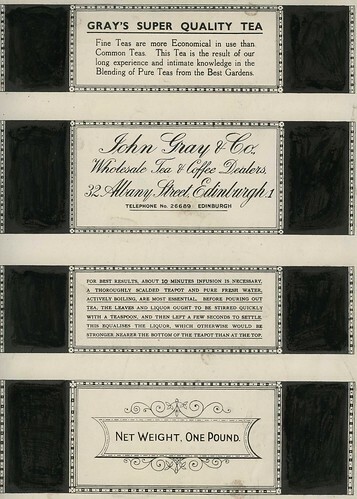 John Gray & Co was a tea dealer located at 32 Albany St in Edinburgh. Here, you can see a lable for 1 pound of Gray’s Super Quality Tea.